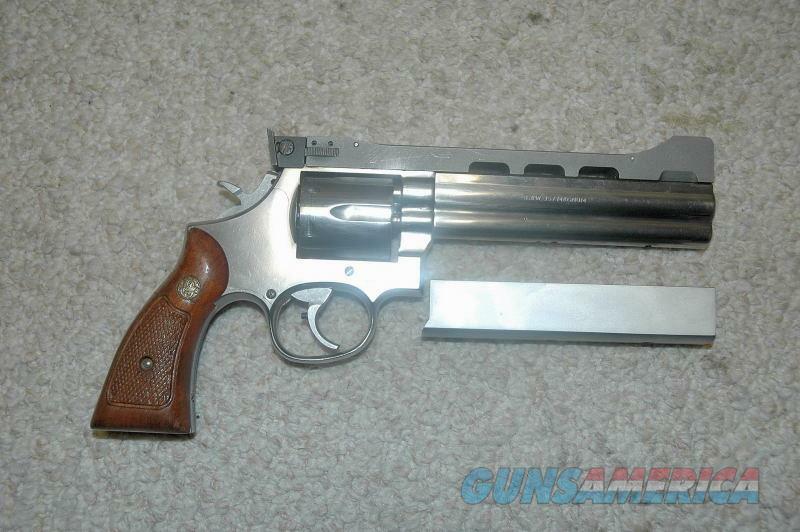 Description: This is a Jarvis Custom S&W 686 (No Dash) for sale chambered in 357 Magnum. The barrel length is 6 inches long and this was manufactured in 1983. The bore and cylinder chambers are in excellent condition. The finish on the metal is good to very good, but does have some scratches. The lockup is good with a very tiny bit of wiggle. There s a Wichita competition sighting system mounted as well as a Jarvis weight which slides over the lug with screws to hold in place. The grips are in good condition, but are not the original grips. This does not have the box or papers. This item is for sale in my retail store and could be sold while the ad is active. Please ask for more pictures if needed.